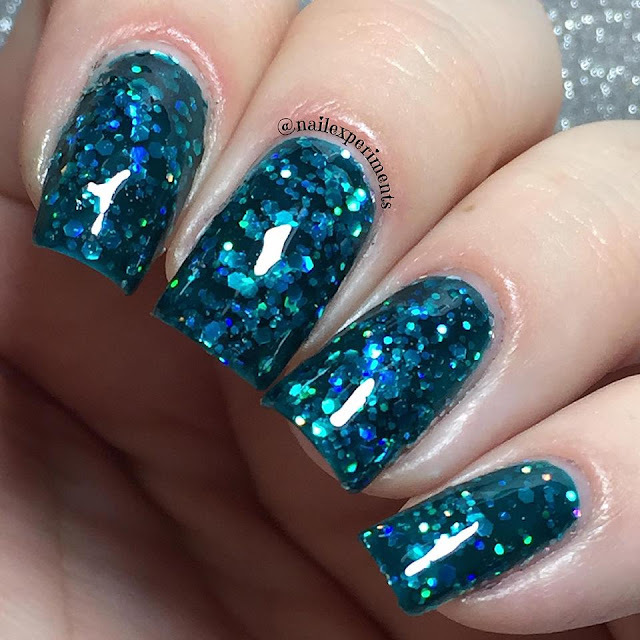 I feel like I've encapsulated a mermaids tail onto my nails, and its all kinds of beautiful! I've seen this gorgeous technique called 'jelly sandwich' or 'pond mani' done several times, and have always failed to achieve it myself. 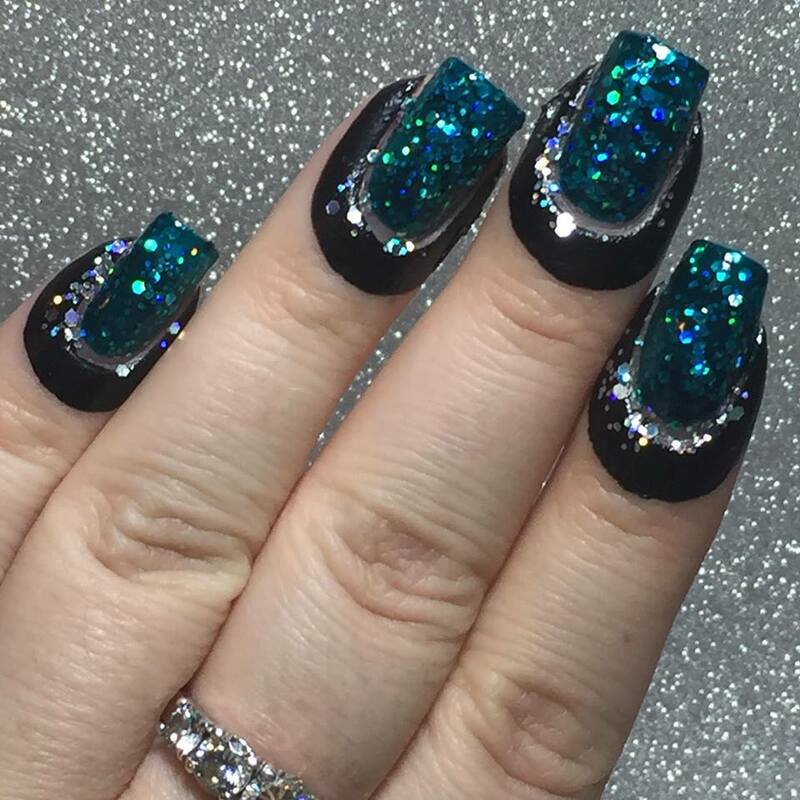 My favorite thing about this look is, how it mimics the look of encapsulated glitter done onto acrylic nails. 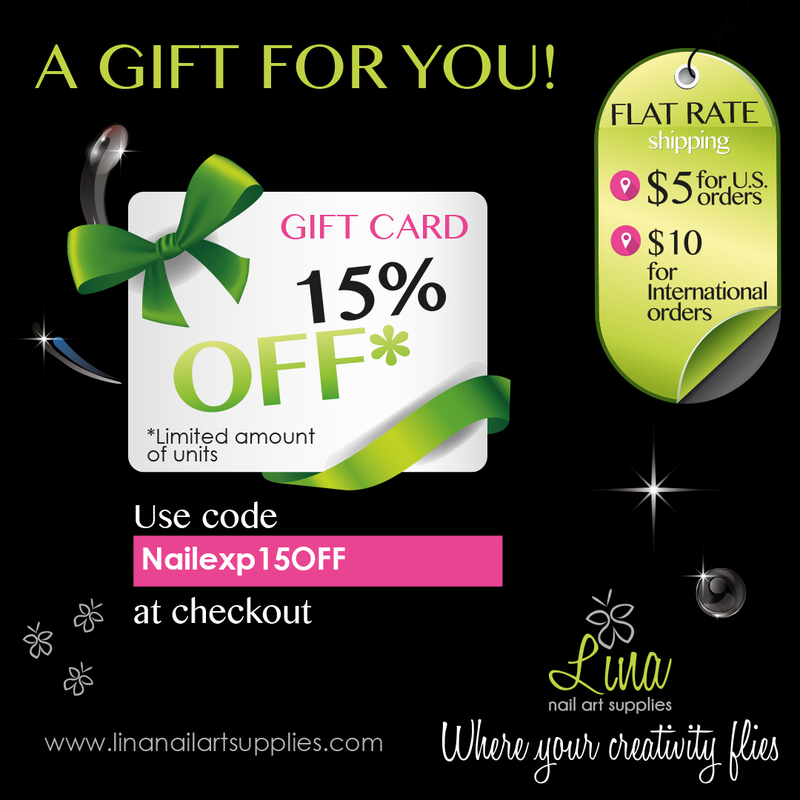 I think acrylic nails can be gorgeous, but I chose to keep my nails natural. 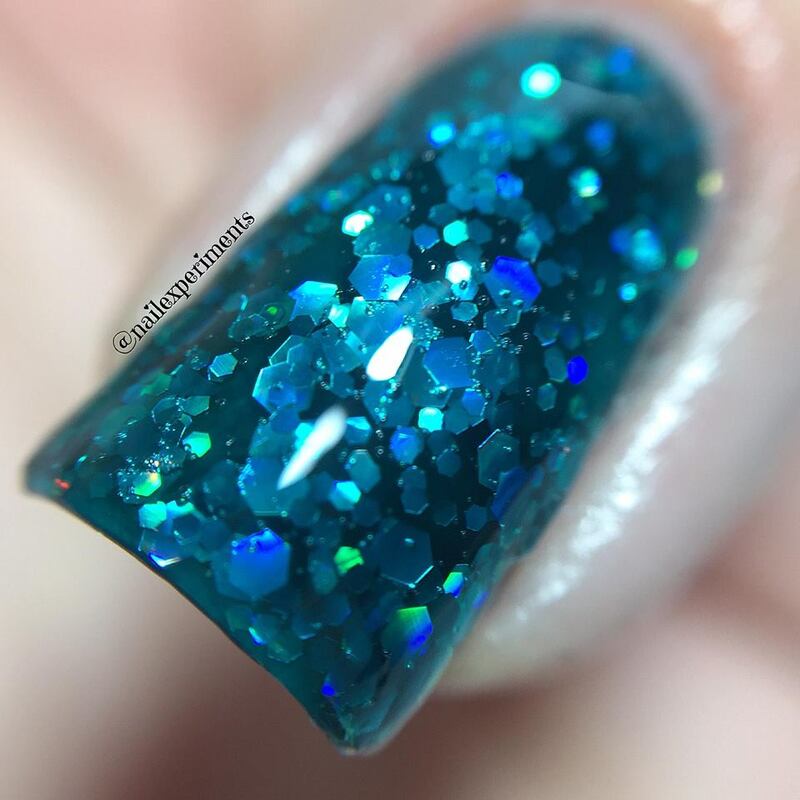 If I were to ever get acrylic done, I would solely want them to encapsulate all the gorgeous glitters! I'm so glad I was able to find an alternative to mimicking the same look, but not having to ruin my natural nails. I've seen this done many times, but I saw a specific mani from @caffinatedcuticles on Instagram and knew I had to attempt it. At first I attempted her exact polish combo, but it wasn't looking as magical on me as it did on her. I gave up on that combo, and began experimenting with other polishes. I began by applying 1 coat of Turquoise Aesthetic by OPI to my nails, which is from the Color Paints collection and let that dry. 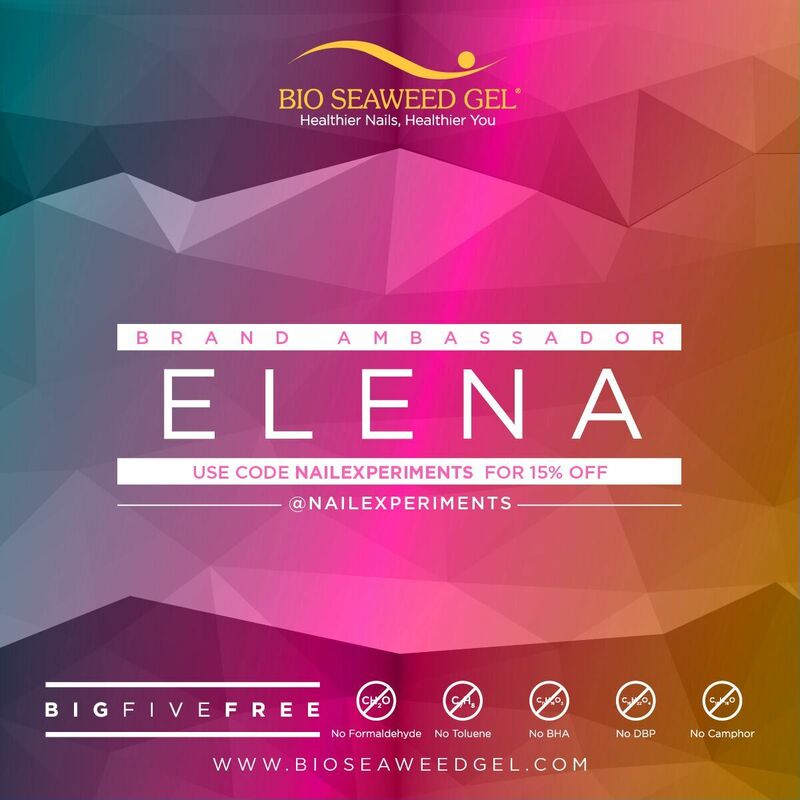 I prepped my nails with my BLACK colored EASY PEEL LATEX BARRIER on the skin surrounding the cuticles, to prepare for the next step. Taking Finger Paints polish in Colorful Collage, I evenly applied it to a makeup wedge/sponge and began sponging it onto my nails. 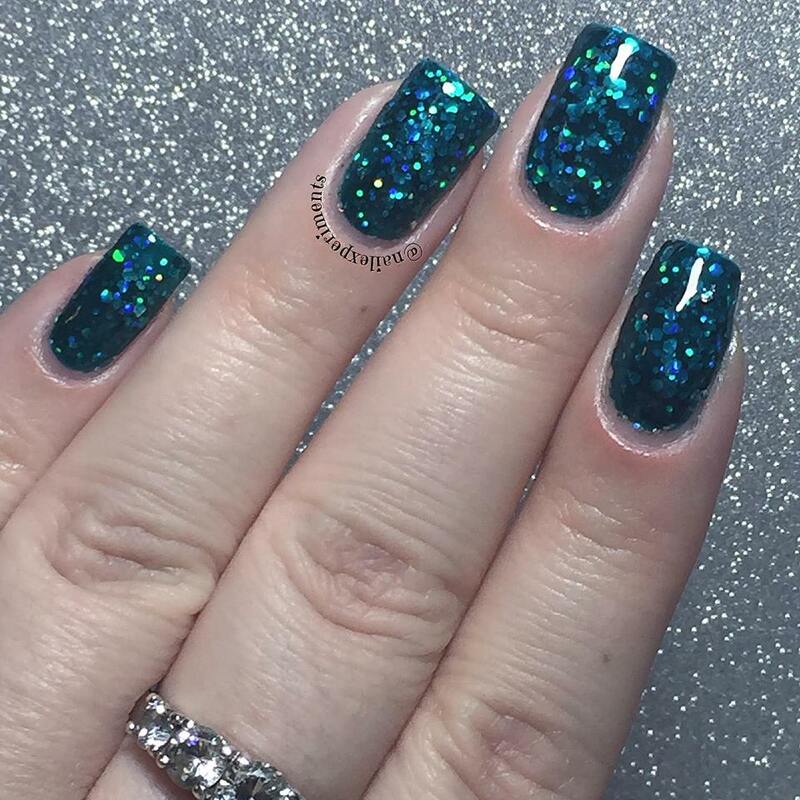 Applied a a coat of Turquoise Aesthetic over top the glitter, which is the step that gives that encapsulated glitter look. Lastly, peel off latex barrier and apply a quick dry topcoat. Side note: I suggest using a base coat with these types of polishes, as only later when removing did I realized it left my nails stained.